On July 9, 1858, Illinois Senator Stephen Douglas gave a campaign speech to a raucous throng from the balcony of the Tremont Hotel in Chicago. Abraham Lincoln was in the audience as Douglas prepared to speak. Douglas graciously invited Lincoln to join him on the balcony to listen to the speech. In his speech Douglas sounded the themes of the momentous campaign that Lincoln and Douglas waged that summer and fall for Douglas’s Senate seat. Douglas paid tribute to Lincoln as a “kind, amiable, and intelligent gentleman, a good citizen and an honorable opponent,” but took issue with Lincoln’s June 16 speech to the Illinois Republican convention that had named him its candidate for Douglas’s seat. In that speech Lincoln had famously asserted that the nation could not exist “half slave and half free.” According to Douglas, Lincoln’s assertion belied the “diversity” in domestic institutions that was “the great safeguard of our liberties.” Then as now, “diversity” was a shibboleth hiding an evil institution that could not be defended on its own terms. Lincoln invited Douglas’s audience to return the next evening for his reply to Douglas’s speech. 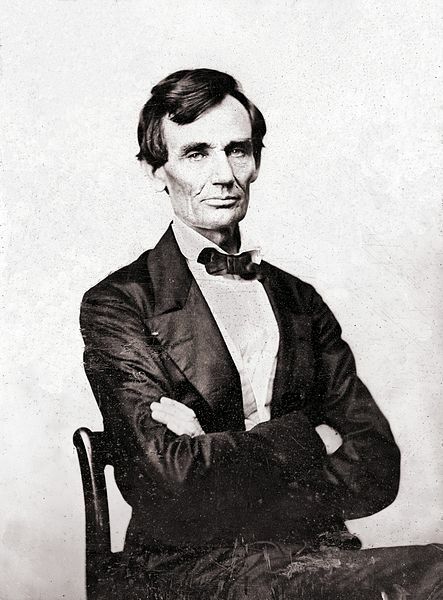 Lincoln’s speech of July 10, 1858, is one of his many great speeches, but in one respect it is uniquely great. It concludes with an explanation of the meaning of this day to Americans with matchless eloquence and insight in words that remain as relevant now as then.